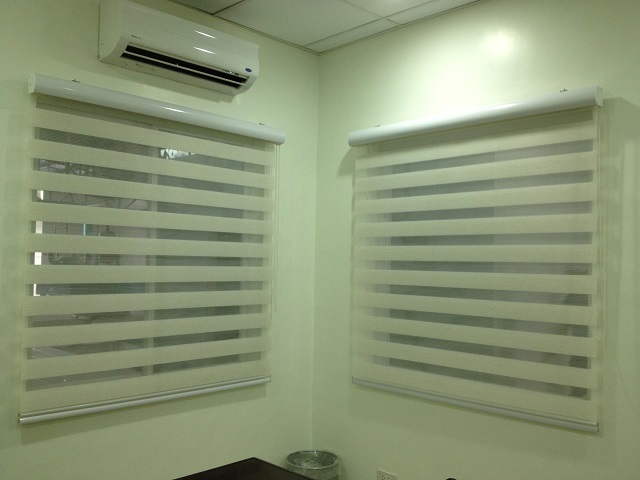 Dual shades or combination blinds are the most ideal blinds in any type of window in residential, offices and other different kinds of establishments. 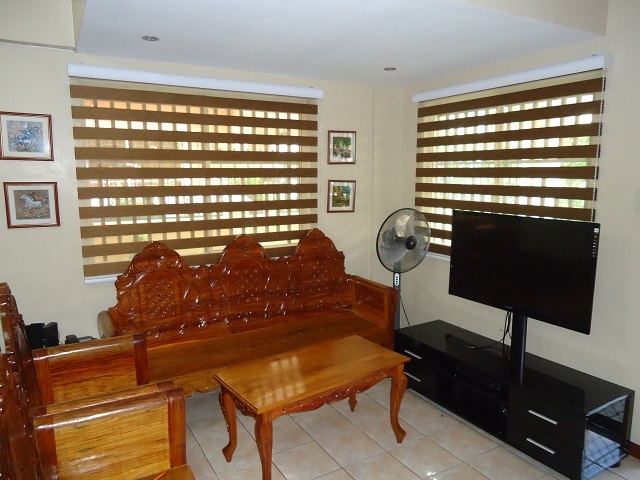 It is versatile that can be used in any type of place that needed privacy, light control and can even keep out unwanted bugs and dirt. 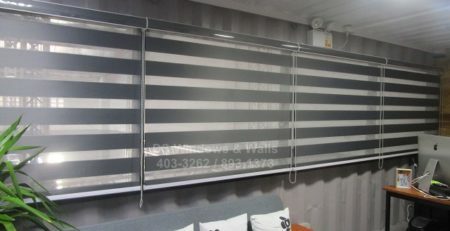 Combi blinds or dual shade blinds offer many types of designs and color, from lightest to cream and even neutral colors. 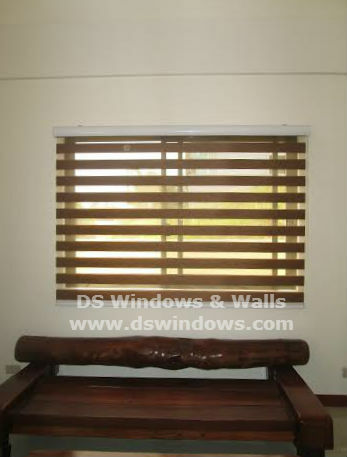 It also adds design to your window and give your entire space an understated elegance. 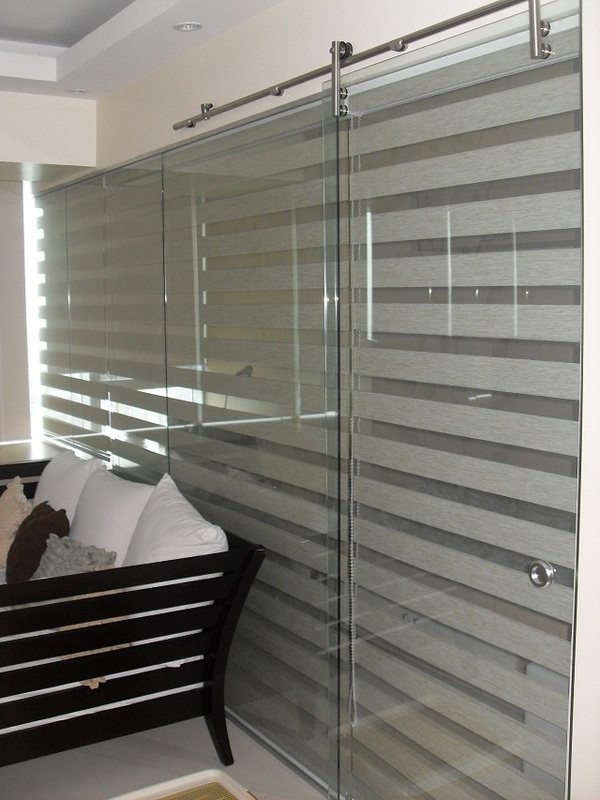 Pleated designs are one of the popular choices in dual shade blinds. 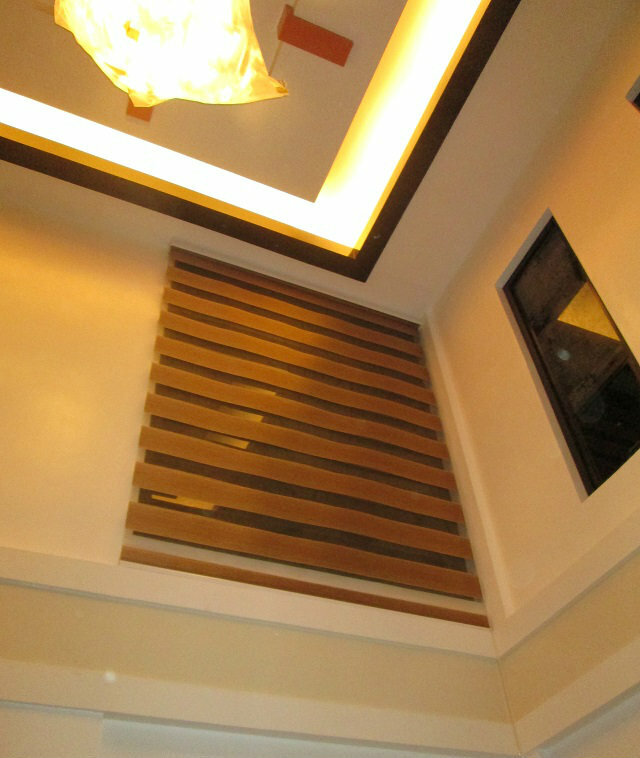 Its design brings out a real touch of class to any type of place. 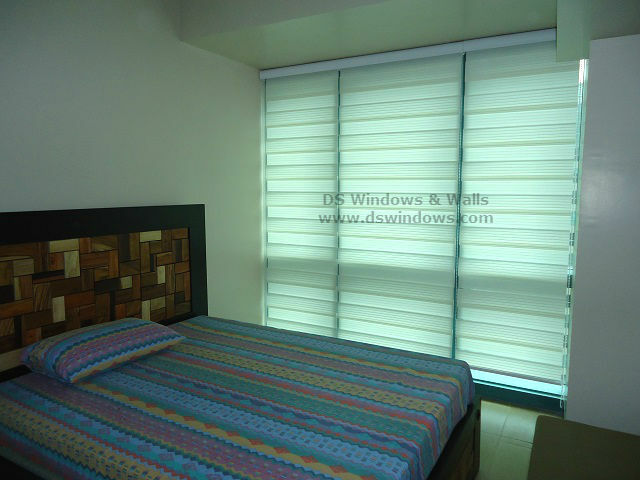 Just like our client who opted dual shades with pleated design and installed in their unit somewhere in San Lorenzo Village, Makati City. 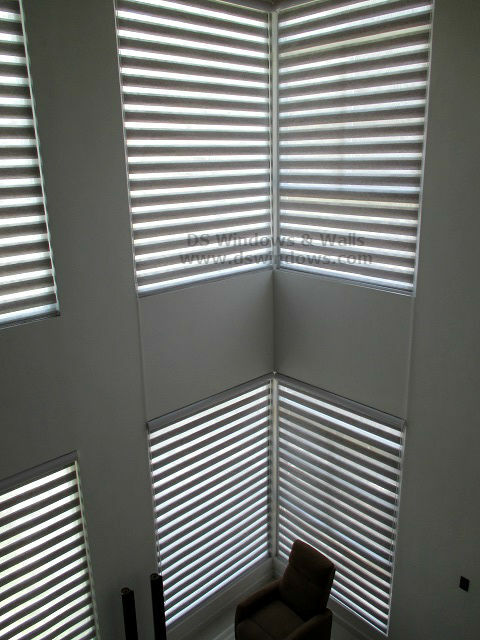 Our client decided to install their blinds into their bedroom. Their bedroom has a high ceiling to floor glass window which gives a nice effect, especially in daytime, there is so much unwanted light that pass through inside their room though that creates a hot temperature. They find it uncomfortable, especially if they still want to sleep or take a siesta during afternoon. That is why they decided to opt for dual shades. 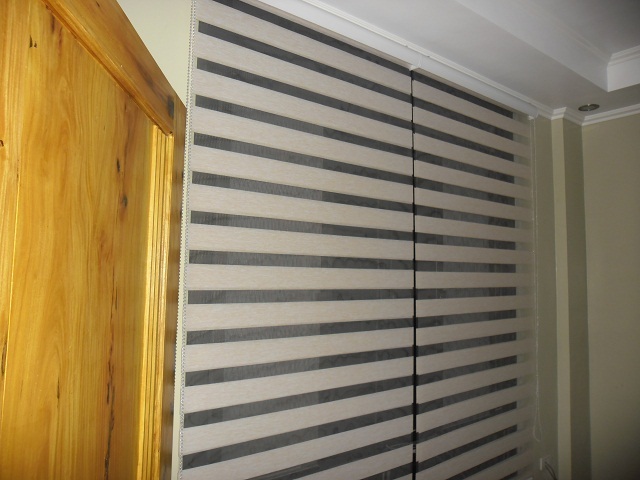 Combi blinds or dual shade blinds are very effective in light controlling, it is made with two layered fabric with horizontal stripes that can be adjusted to control the light that will pass through inside of your room. It can also give you a complete privacy during night time. Our client selected code P702 ivory color to add the punch of soft color and style for a lighter feeling for their bedroom. 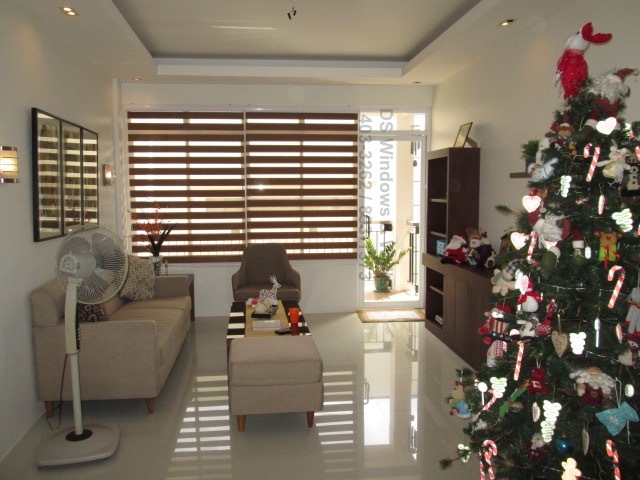 DS Windows and Walls offer different varieties of combination or dual shade blinds depending on the style that you want into your home. To check out our samples and swatches you may visit our store located at 4th level Waltermart, Makati City, 3rd level Robinson Metro East, Pasig City and 2nd level Pacific Mall, Lucena City. 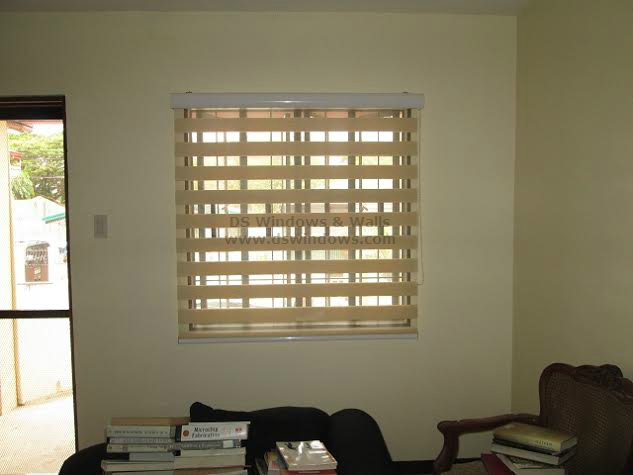 You can also check our webstore at www.angryblinds.com.ph or call us at (02) 403-3262 / (02) 668-9668 / (02) 893-1373 and 0916-311-3909. You can also email us your questions at inquiry@dswindows.com.